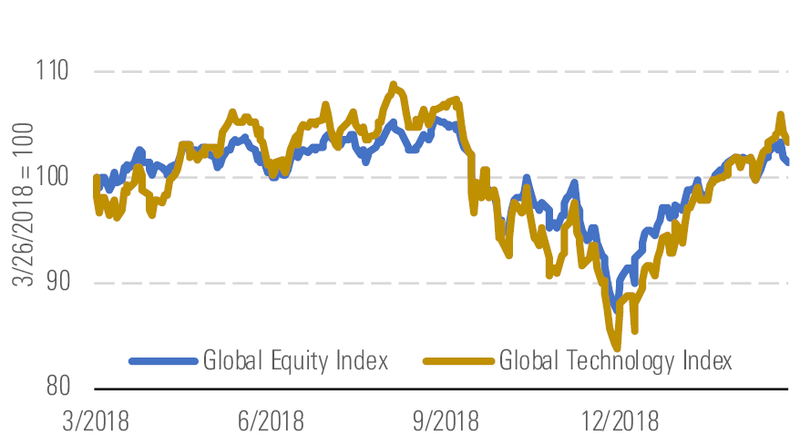 The Morningstar Global Technology Index is up 16% year to date in 2019 and outperformed the global equity market, which rose 11% over the same period. Technology snapped back nicely in early 2019 with some optimism that the U.S. and China can reach trade agreements and avoid a full-blown trade war, an issue that caused the markets and the tech sector to fall in the fourth quarter. We continue to believe that tariffs and/or the lack of a trade deal may weigh on the health of the Chinese consumer and disrupt a highly interwoven tech supply chain that would be quite difficult for the U.S. and China to unwind.